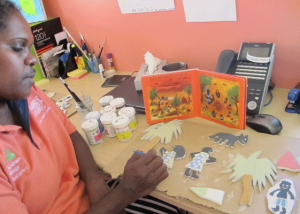 Janie loves to share her passion to make artwork with other people. 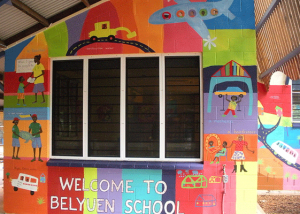 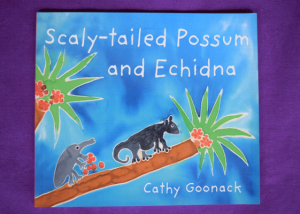 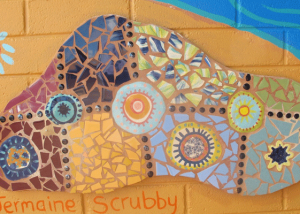 Her knowledge of project management and facilitation in art, design, textiles and ceramics, have led to the creation of many highly professional completed artworks for a range of contexts: from coordinating production and publication of a Dreaming story book with a remote community in the Kimberley to designing and creating large scale permanent mosaics and murals for many public settings, both in Australia and the UK. 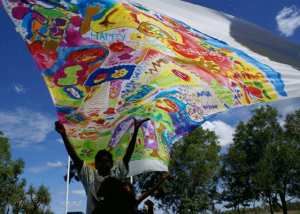 Projects, programs and residencies are designed specifically for each community context. 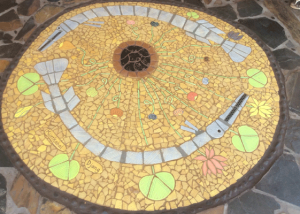 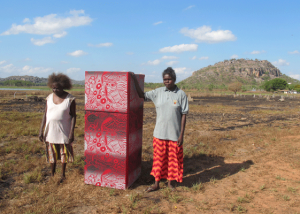 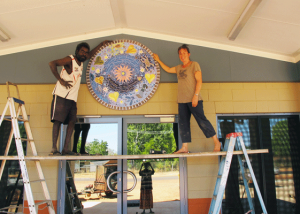 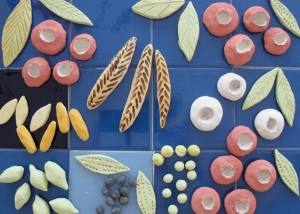 As well as TEXTILE and SCULPTURAL WORKS, Janie has facilitated and run arts projects in MOSAICS for adults and children through Artist in Schools residencies training programs throughout the NT, Kimberley and in the UK.